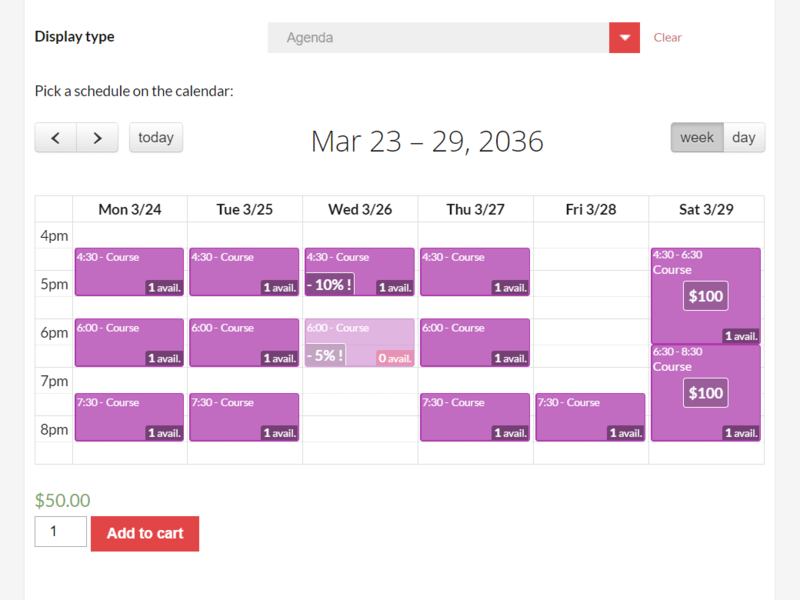 Customize your schedules appearance or completely change the booking method on your site with Display Pack extension. Your events are very long? Or on the contrary very short? Set the time indicators frequency and control the event size displayed on screen. Display a marker showing the current time and date so that your visitors can navigate more easily on the calendar. Hide you days off (ex: saturday and sunday) and improve your calendars readability. 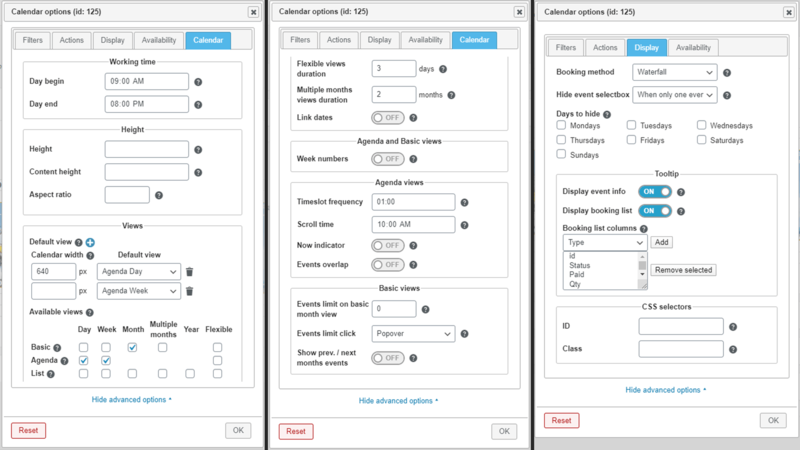 Choose whether calendar events that have a common time range should visually overlap, or whether they should remain side-by-side. Set calendar height or its contents height in pixels or set its height/width ratio. Enable or disable automatic calendar resizing based on the window size . Discover new ways to display your events! Booking Activities plugin is distinguished by its one-click reservation system. 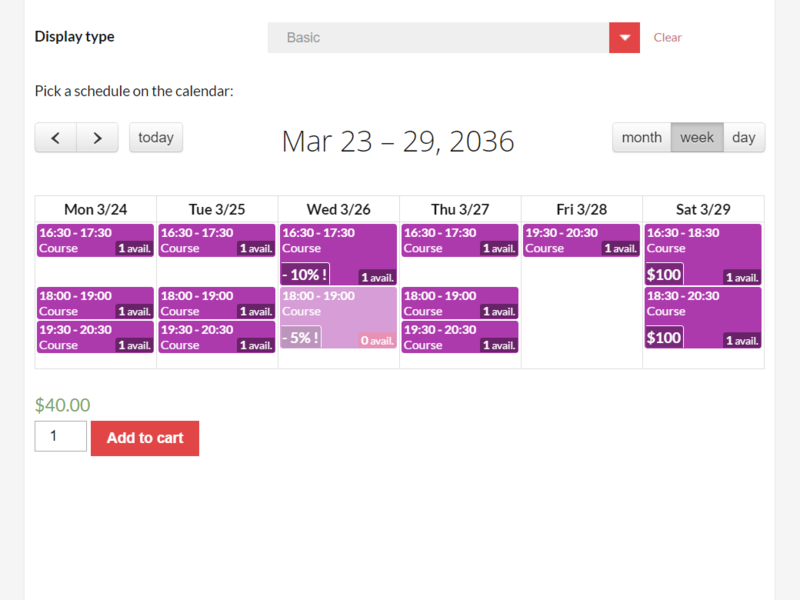 Calendars and events are displayed directly to the users, and they just have to click on the desired event to book it. 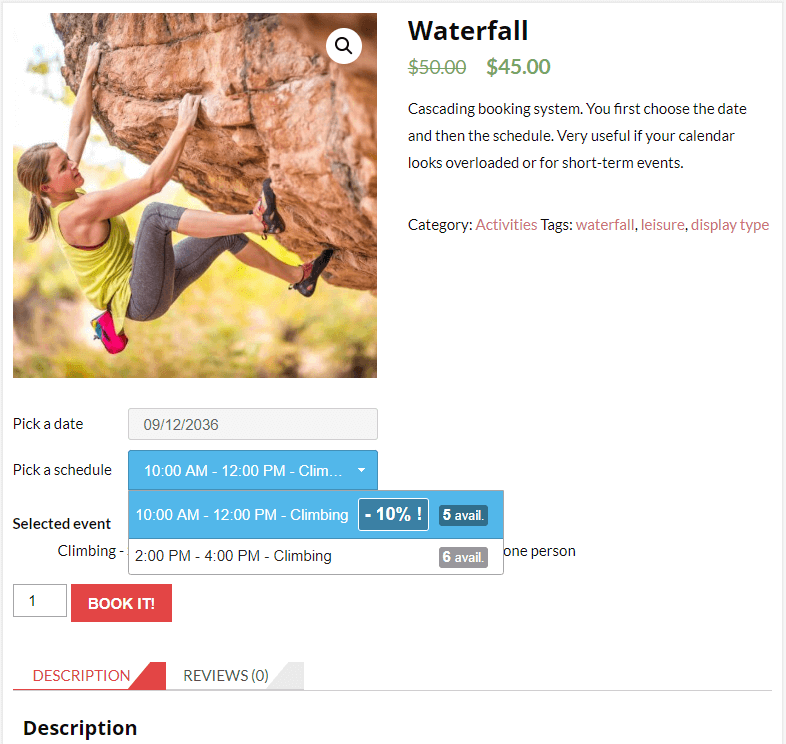 The Display Pack add-on however offers alternative booking methods to you and your visitors. 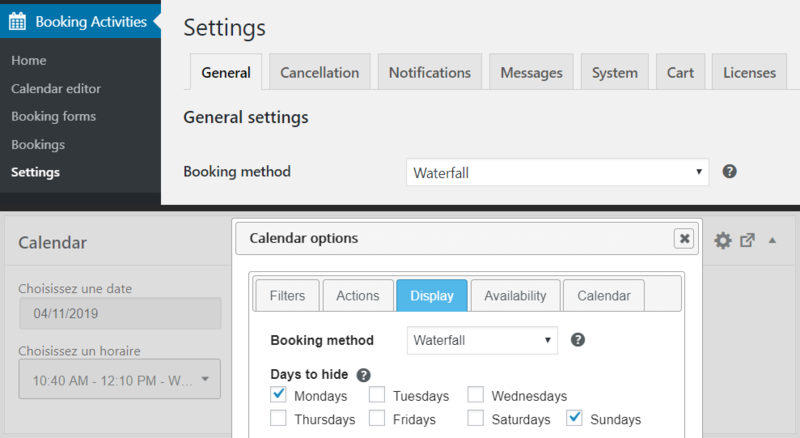 You can opt for the “waterfall” booking system where you must first choose the date and then the time of the event. 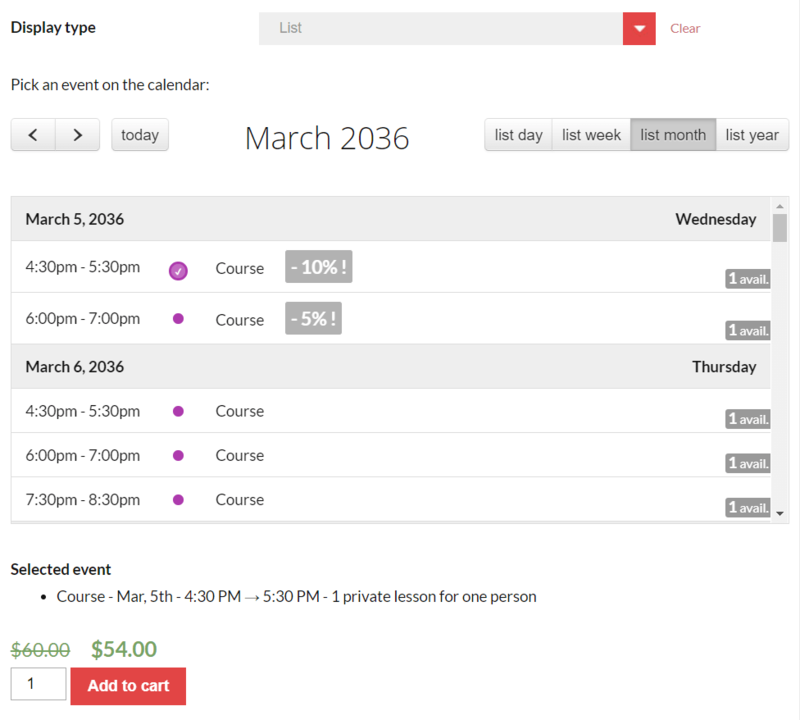 Of course, only dates with available events are selectable. This display is really interesting for activities with numerous short-duration events. 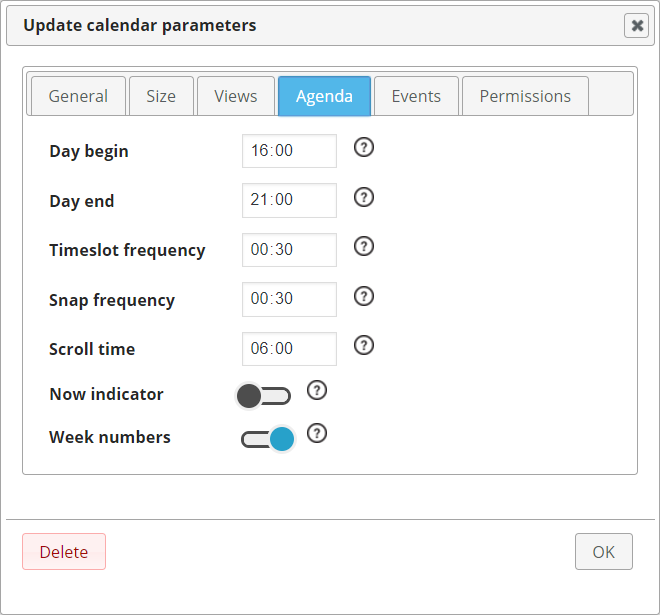 Your calendars won’t look overcrowded anymore, and users will now have standard selection boxes. Finally, note that you will be able to set up different booking methods for each product and for each product variation on WooCommerce. It is therefore perfectly compatible with the Points of Sale plugin that you will find on this same site. 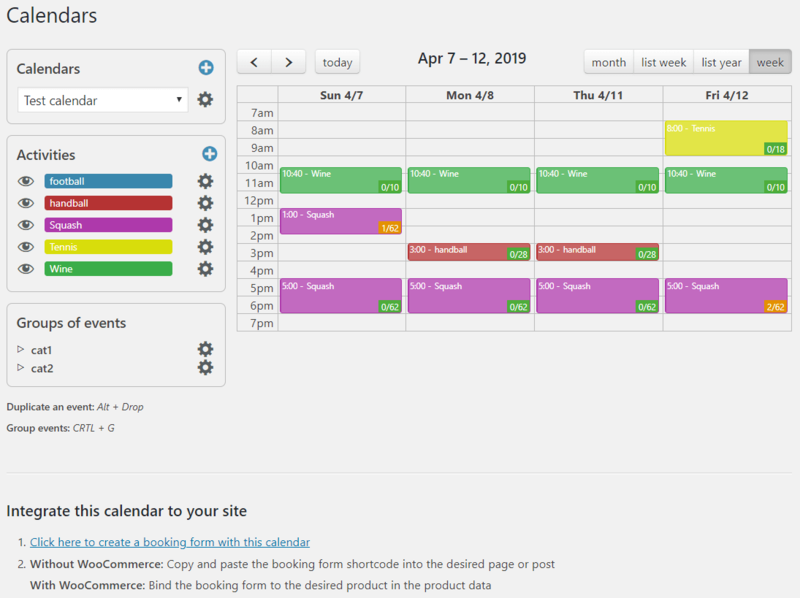 Display Pack is a Booking Activities add-on, so you will first need to install and activate Booking Activities plugin. 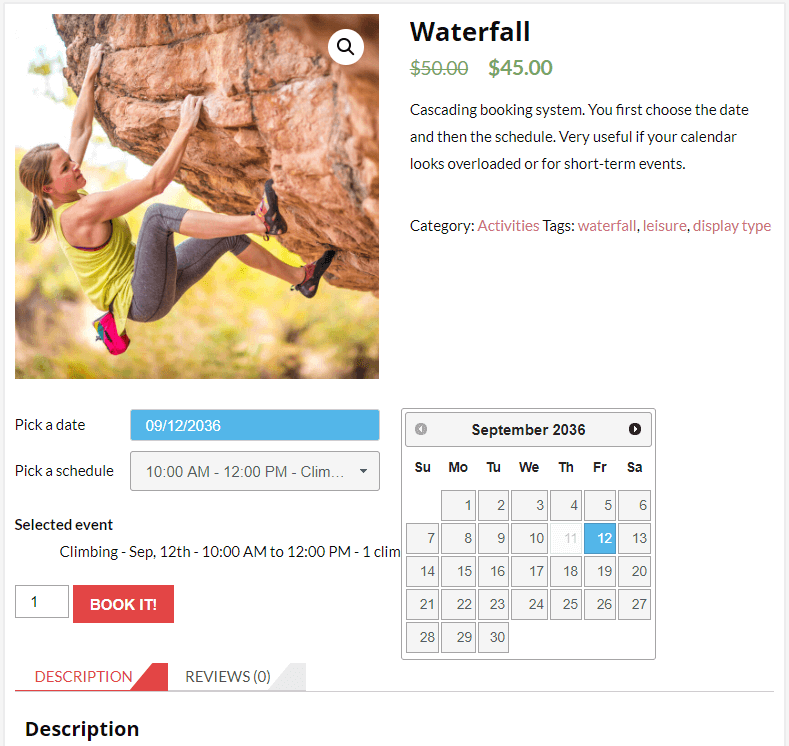 Woocommerce-related features will automatically be activated when WooCommerce plugin will be installed and activated in conjunction with Booking Activities and Display Pack. 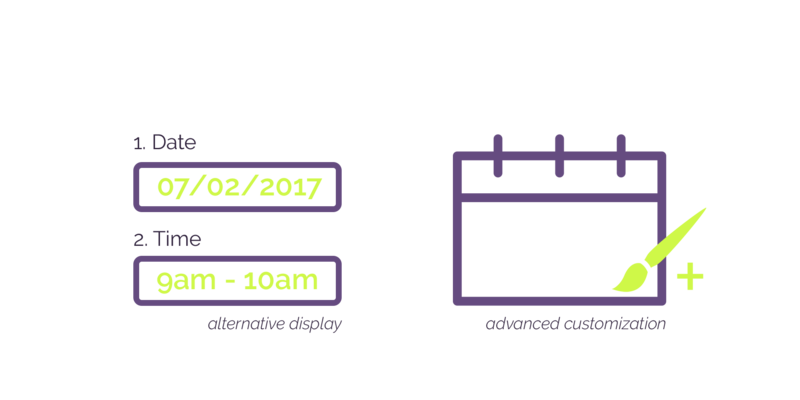 Display Pack at your service!